The Experiencias Xcaret tours allow visitors to get out and explore the area. Enjoy all the fun activities offered at Xplor Park after dark. Travelers who want to get up close and personal with animals will want to visit this park. Make your next vacation to Mexico one to remember. Let yourself be a kid again at this unique park in Mexico. Xel-Há is the ideal spot for those who love to go snorkeling. Get ready to experience the park's adrenaline-pumping attractions and activities for less than you thought. Learn about Mexico's fascinating history and one-of-a-kind culture at Xcaret eco-archaeological park. 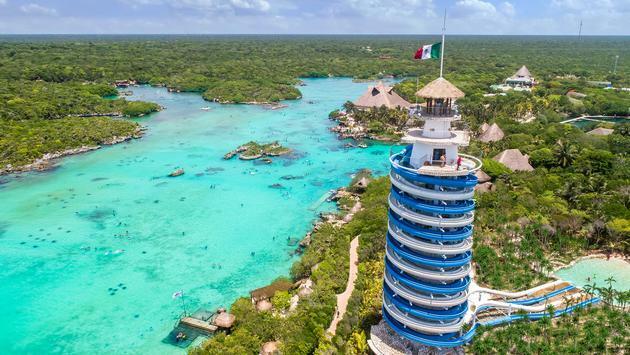 Explore the flavors of Mexico as well as the underground rivers, archaeological sites and other attractions at Xcaret. The company's newest theme park will let guests choose their level of adrenaline.